Born and raised in York, Pennsylvania, Dr. Virginia Lee attended Franklin and Marshall College. Here she received a Bachelors Degree in Biology and from there she went on to receive her D.M.D. from Temple University in Philadelphia. Subsequent to this, Dr. Lee went on to carry out her Oral and Maxillofacial Surgery training at University of Maryland Medical Systems and Adam Crowley’s Shock Trauma Center in Baltimore, Maryland. 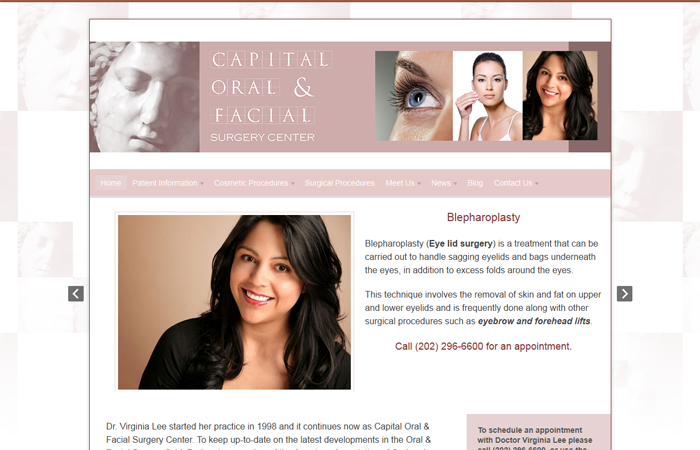 In 1998 she opened her practice and from then it has continued to what is now, Capital Oral & Facial Surgery Center.